He tried and tried, but Wladimir Klitschko has reportedly caved. 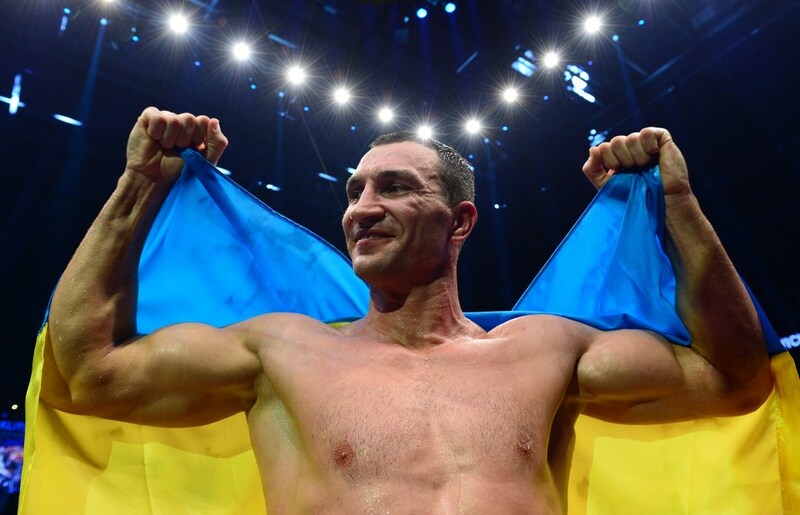 According to Ukraine's Sport Arena, the 43-year-old former heavyweight champion will return to the ring on May 25 against an undetermined opponent as part of a three-fight deal with sports streaming service DAZN that will guarantee him at least $120 million. Klitschko’s return bout will reportedly take place at Olympic Stadium in Kiev, where his older brother Vitali, also a former heavyweight titlist, currently serves as mayor. Klitschko last fought in the Ukrainian capital on December 5, 1998, when he suffered his first defeat as a professional by knockout at the hands of America Ross Puritty. The DAZN deal could also include a fight against top heavyweights like Deontay Wilder, Anthony Joshua, or Tyson Fury. Only Joshua (22-0, 21 KO's), who holds three of the four major heavyweight title belts, has had one of his fights streamed on DAZN. The 2012 Olympic gold medalist scored a seventh-round knockout of former title challenger Alexander Povetkin last September. Joshua takes on top contender Jarrell Miller (23-0-1, 20 KO's) on June 1 at Madison Square Garden in New York. The aforementioned Wilder (40-0-1, 39 KO's), the WBC champion, will face mandatory challenger Dominic Breazeale (20-1, 18 KO's) on May 18 in a grudge match at Barclays Center in Brooklyn. Tyson Fury, who scored an upset unanimous decision against Klitschko in November 2015, will square off against Tom Schwarz (24-0, 16 KO's) on June 15 on ESPN+ as part of his new deal with Top Rank. Klitschko (64-5, 53 KO's) has not fought since losing to Joshua by 11th-round TKO in FightNights.com's 2017 Fight of the Year, which drew a British boxing record of 90,000 to London's Wembley Stadium. Klitschko recovered from a fifth-round knockdown to drop Joshua with a vicious right hand in the sixth. However, Joshua caught a second wind, and dropped Klitschko twice more in the 11th round to get the stoppage victory. Klitschko stated in January that he was not coming back to boxing. But in recent months, photos began to circulate the internet of Klitschko training, which led many to believe that he was going to fight again. UPDATE: The story originally released by Sport Arena was revealed as a hoax. Klitschko remains retired.